Movies were a popular pastime for teenagers in the 1950s. And for parents, they were an unbeatable value. For less than a dollar, movies got the kids out of the house, occupied them for an entire afternoon, and, even after forking over a little spending money, were still cheaper than a babysitter. The kids would leave late morning and not be seen again until dinner time. They were treated to about five hours of entertainment—cartoons with Tom and Jerry, and Woody Woodpecker, boring newsreels, coming attractions, serials of Superman, Tarzan, Zorro, and Flash Gordon, and at least two feature-length movies. And since theaters weren’t emptied between showings, lots of kids stayed to see a movie again. 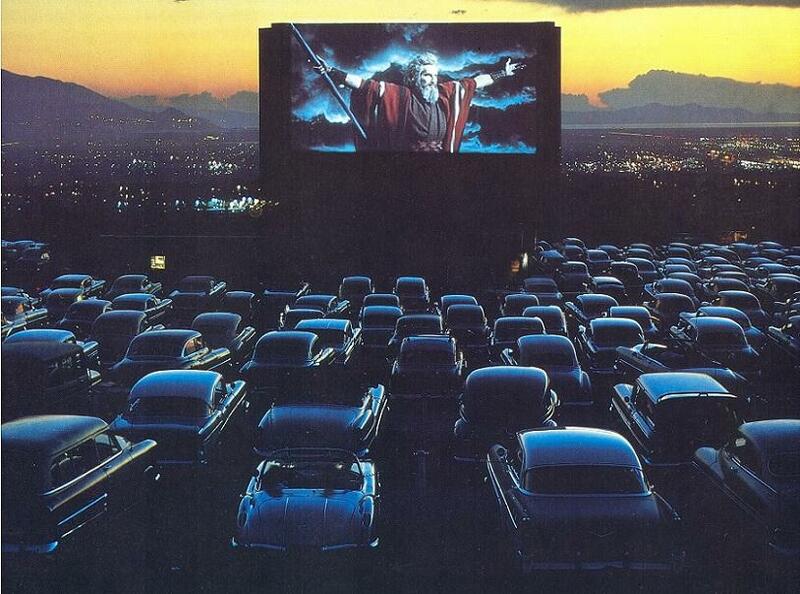 Another movie phenomenon of the time was hearing, from somewhere in the darkened theater, “Oh, this is where we came in.” No one paid attention to timetables or when movies started. You just went, began watching at whatever scene on which you entered, and stayed until that scene came around again. People stood up, excused themselves down a row of seats, trudged up the aisle, and exited the theater. With Hollywood just a short distance away, the South Bay had no shortage of movie theaters—Paradise, Ritz, La Tijera, United Artists, 5th Avenue, Lennox, Strand, El Rey, Academy, Loyola, Fox. For the car set, a popular date destination or to see and be seen were the Centinela Drive-In, the Clock Drive-In, and those in Long Beach and Torrance. 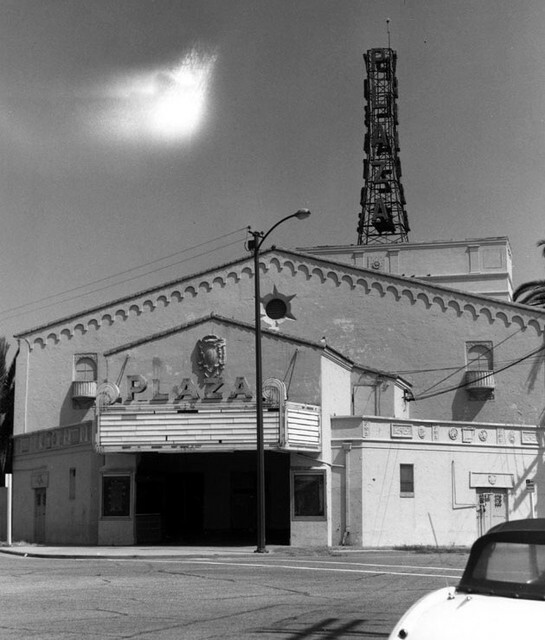 Although Hawthorne had the Plaza Theater (a second theater, the Rex, located at 122nd Street and Acacia, closed in the early 1950s), many of the kids in Brian’s neighborhood walked to the Imperial Theater, 3180 West Imperial Highway, in nearby Inglewood for their Saturday matinee movie fix. For many Hawthorne residents, the Plaza Theater was their “Cinema Paradiso,” a touchstone of magical childhood memories. The Plaza opened November 28, 1927, as a live stage theater (a “legitimate theater” as they were called at the time), complete with an orchestra pit and elegant box seats overlooking the stage. It was located at 12788 Hawthorne Boulevard, near 126th Street and Acacia in Hawthorne. It was built in a Mission Revival style with an RKO radio-like open steel tower with the word “Plaza” in red neon vertical letters, and could accommodate 891 people. Sherrill Corwin and Lester Blumberg took over active operations of the Plaza in June 1949, acquiring controlling interest from E.S. “Ned” Calvi. A bit run-down by 1959, the Plaza was known locally by the decidedly less elegant names El Cheapo or Rat Palace, so named for the wildlife occasionally seen, or worse, merely felt, scurrying between the aisles. An afternoon at the Plaza Theater often ended with trip to nearby Taco Tios at 127th Street and Hawthorne Boulevard. On a Saturday afternoon, the Plaza was packed with teenagers and not all the entertainment was up on the screen. Fueled by theater junk food and sugared drinks, boys discovered cardboard popcorn boxes, when emptied and flattened, were extremely aerodynamic and made excellent frisbees. One such missile tore the screen. On February 22, 1959, a Hawthorne High freshman tossed a knife through the screen. He later told police he “just wanted to see if he could do it.” Favorite girls were easy targets for all sorts of air-borne candy. And if the movie projector broke or a reel change wasn’t made smoothly, all hell broke loose. Kids would be jumping up and down on the worn seats, pulling cotton padding out of the seats, and generally wreaking havoc. And, as the matron/usher scoured the rows with her flashlight, ferreting out violations, you could try slipping behind the velvet curtain, opening an exit door, and letting your buddies in for free. But it almost never worked. The sunlight penetrated the curtain and the door creaked miserably. The usher would corral the offending delinquents and evict them unceremoniously from the theater. Teenagers have always sought vicarious frights provided by scary movies and, in the late 1950s, the master of scary movies was William Castle. 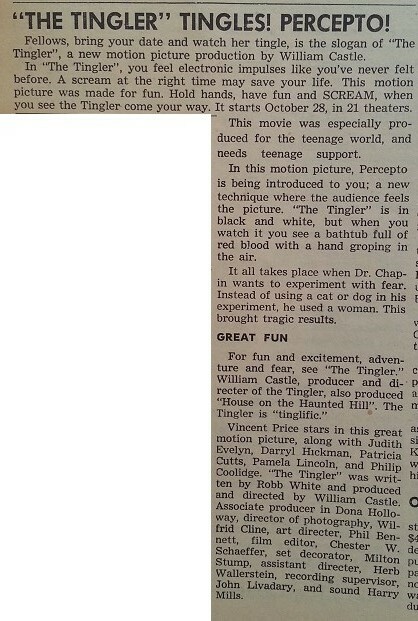 His new film, The Tingler, released just in time for Halloween, opened October 28, 1959, in twenty-one local theaters. Brian and Al were about two months into their senior year at Hawthorne High School. Columbia Pictures attempted to generate some advance buzz for the movie by releasing “The Tingler” (b/w “Thirty Foot Bride,” Colpix 122) by The Tinglers in mid-August, but the record failed to chart. Castle was a master at marketing and promotional gimmicks. In 1958’s Macabre, he offered a $1,000 “death by fright” insurance policy. In The House on Haunted Hill he rigged a pulley system in some of the larger theaters so a skeleton would fly over the audience’s heads at a frighteningly fragile time. Ironically, while the film appealed wildly to teenagers for its harmless frights, it was also the first to feature on-screen use of LSD, which was legal at the time. Screenwriter Robb White had experimented with LSD while a student at UCLA and decided to work it into the script. In the film, Vincent Price reads a book entitled Fright Effects Induced by Injection of Lysergic Acid LSD25. The Tingler also starred Darryl Hickman who agreed to play the on-screen fiancé of his real life fiancée Pamela Lincoln after Castle convinced him it would help further her career. Although the marriage ended in divorce, Hickman enjoyed a long career in film, television, and theater. The low-budget Tingler made a nice profit for the creative team and Columbia Pictures, and caught the attention of film maker Alfred Hitchcock over at Paramount. Hitchcock’s North By Northwest, starring Cary Grant, captivated audiences the summer of 1959 and was the third top-grossing film of the year (Ben Hur and Sleeping Beauty were first and second; Some Like It Hot was fourth). On November 11, exactly two weeks after The Tingler opened, Hitchcock began filming a motion picture that would redefine the horror genre. Peggy Robertson, his production assistant, had come across a novel by Robert Bloch based loosely on the Wisconsin serial murderer Ed Gein. Robertson told Hitchcock she thought the novel would make a good film. He read the book, agreed, and reportedly directed Robertson to buy up every copy of the book she could find so the twist ending could be preserved for the film. 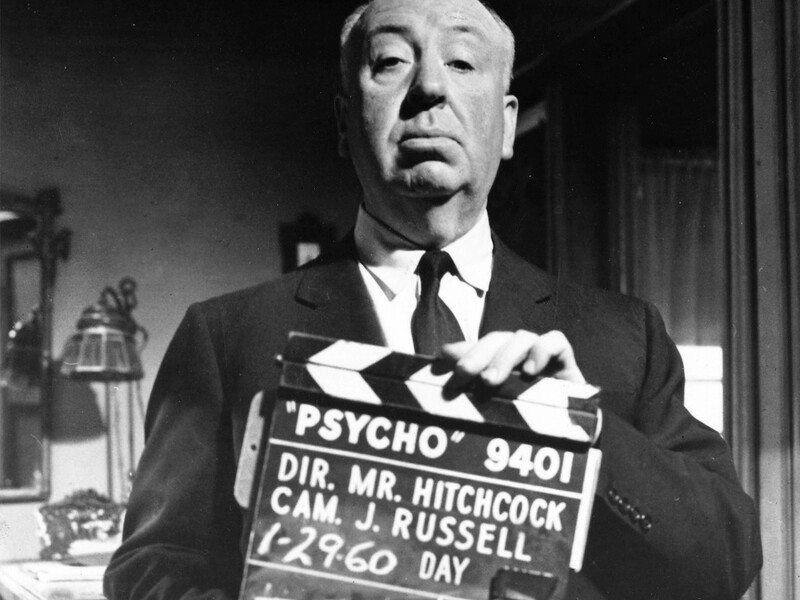 For his screen adaptation, Hitchcock kept the terrifying, one-word title Block gave his novel. Psycho. Cool movies even better music!